WASHINGTON — Results of new research reported at the Alzheimer’s Association International Conference 2015, show that aerobic exercise — such as walking, running, swimming, and cycling — can significantly reduce a range of symptoms in patients with certain dementia-related disorders. Although previous research suggests that regular exercise can improve cognition and reduce the risk of dementia and cognitive decline, it was unknown whether it could affect symptoms or structural brain changes in patients with AD. 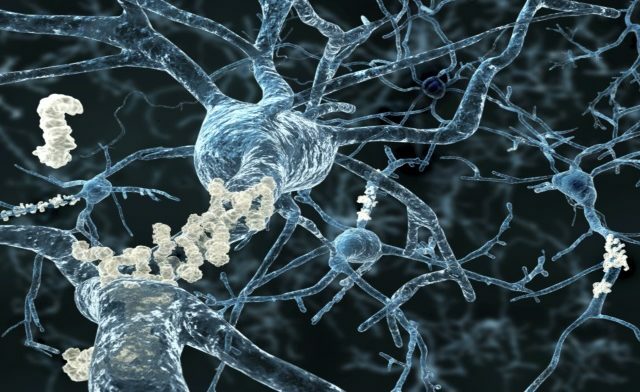 Findings of three new studies suggest that it can do just that, as well as conferring benefits to patients with mild cognitive impairment (MCI) and vascular dementia (also called vascular cognitive impairment [VCI]). The results highlight a valuable non-pharmacologic therapy and show that “exercise or regular physical activity might play a role in both protecting your brain from Alzheimer’s disease and other dementias, and also living better with the disease if you have it,” Maria Carrillo, PhD, the association’s chief science officer, said in a statement. The findings are in line with recommendations by the Alzheimer’s Association on ways to decrease the risk of cognitive decline. In addition to regular exercise, suggestions include staying mentally and socially engaged, and eating a healthy diet. In a large, randomized controlled trial1 conducted by Steen Hasselbalch, MD, and his colleagues at the Danish Dementia Research Centre in Copenhagen, 200 patients with mild to moderate AD were assigned to one of two groups for the 16-week study period. One group participated in three 60-minute sessions of supervised, moderate- to high-intensity aerobic exercise per week, while the control group received care as usual. Results showed that while the control group declined on measures of certain symptoms, the exercise group had fewer symptoms of depression, anxiety, and irritability, and they had improvements in physical function and dual-task performance. Additionally, participants who exercised most frequently and vigorously had improvements on mental speed, as assessed by the Symbol Digit Modalities Test (SDMT), suggesting a dose-response relationship between exercise and cognitive improvement. A second study,2 conducted by Laura Baker, PhD, and her colleagues at Wake Forest School of Medicine in Winston-Salem, NC, found that exercise may also have a positive effect on patients with MCI. One group of 65 older adults in the six-month controlled trial participated in 45 to 60 minutes of moderate to vigorous aerobic exercise four times weekly, while the remaining participants performed gentle stretching. In another six-month trial,3 researchers investigated the effects of aerobic exercise on cognitive impairment in patients with VCI. Earlier studies have shown that it may be possible to slow cognitive decline and decrease the risk of dementia by reducing factors that threaten heart health, and other research has demonstrated that aerobic exercise decreases such factors while also improving the structure and function of the brain. A group of 71 older adults with mild VCI were assigned to either a standard-care group or an aerobic exercise group that participated in three 60-minute sessions per week. According to the results, the aerobics group experienced significant improvements in cognitive function, and brain scans showed that their brains became more efficient after exercise training. Though further studies should be conducted to replicate these findings in various populations, they offer hope that people with VCI may have an effective tool that can improve their quality of life and level of independence. “Exercise is a strategy that can be inexpensively delivered at the population level,” noted study co-author Teresa Liu-Ambrose, PhD, PT, of the University of British Columbia and the Djavad Mowafaghian Centre for Brain Health, which is part of the Vancouver Coastal Health Research Institute. Hasselbalch S et al. Moderate to high intensity physical exercise in patients with Alzheimer’s disease. Presented at: Alzheimer’s Association International Conference 2015; July 18-23, 2015; Washington, DC. Baker L et al. Aerobic exercise reduces phosphorylated tau protein in cerebrospinal fluid in older adults with mild cognitive impairment. Presented at: Alzheimer’s Association International Conference 2015; July 18-23, 2015; Washington, DC. Liu-Ambrose T et al. Vascular cognitive impairment and aerobic exercise: a 6-month randomized controlled trial. Presented at: Alzheimer’s Association International Conference 2015; July 18-23, 2015; Washington, DC.